The law firm of Nutter McClennen & Fish LLP announced today that leading IP litigators Paul J. Cronin and James C. Hall have joined Nutter as partners and are bringing their practice to the firm, where they will focus on intellectual property litigation. With the addition of these two partners, who join Nutter from intellectual property litigation boutique Hayes Bostock & Cronin, Nutter expands its IP and Litigation Departments. Recently, Nutter was named a “Go-To Law Firm in Litigation” in American Lawyer Media’s “Go-To Law Firms” survey of the Fortune 500. This builds on Nutter’s designation as a “Go-To Firm in IP,” for which it has been named by Johnson & Johnson for four consecutive years. The firm has the extensive trial experience, industry knowledge, and advanced technical backgrounds that sophisticated clients need to obtain successful outcomes in the competitive and global arena of IP strategy and protection. Recognized as a top lawyer in intellectual property litigation for work on cases ranging from computer software and hardware to weapons technology and bioprocess systems, Paul Cronin concentrates on IP trial work involving patents, trademarks, trade secrets and copyright disputes. He also counsels clients with respect to the licensing and procurement of IP rights. Prior to entering private practice he served as criminal prosecutor in the Middlesex District Attorney’s office. James Hall focuses on a range of fields including digital signal processing, cryptography and computer security, networking protocols, wireless communication, and speech recognition. A skilled patient litigator with nearly a decade of experience in patent litigation with pharmaceutical and biologic patents, Hall specializes in preparing highly technical cases for jury trials. 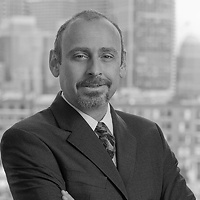 Nutter McClennen & Fish LLP is a leading Boston law firm with a distinguished IP and IP Litigation group who represent a roster of innovative and sophisticated technology clients. The multidisciplinary firm provides high level legal counsel to clients ranging from major companies, institutions and early stage entrepreneurs in a variety of industries, to foundations and families. The firm was co-founded in Boston in 1879 by Louis D. Brandeis, who was later appointed to the U.S. Supreme Court.